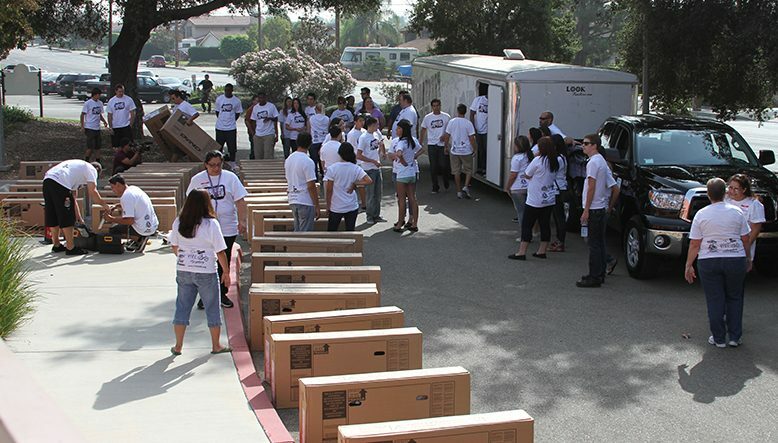 On Saturday, October 12, TWR partnered with Landmark Medical and 60 volunteers at McKinley Children’s Center in San Dimas, CA to build 100 new bikes. The excitement level was off the charts; many of the children were learning to ride bikes for the very first time! The volunteers were equally excited; they were extremely energetic and more than willing to lend a helping hand. It was definitely a joyous day with fun in the sun – complete with pizza and Hubert’s Lemonade. This is the second year that Ladonna and her Landmark Medical team have sponsored 100 bikes for our Build-A-Bike program. 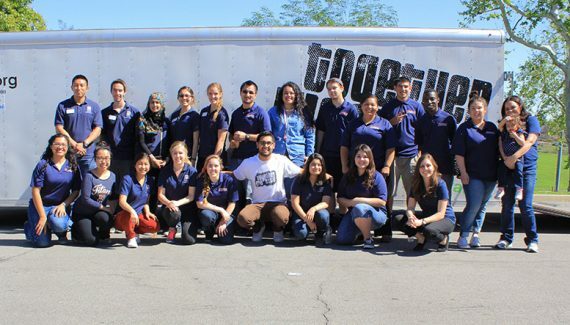 We absolutely love the dedication, passion and energy this group has toward helping the foster youth in their community! The simplicity of a bike can mean so much more to those in foster care. Our Build-A-Bike program provides bikes to youth who are preparing to transition out of the foster care system. Most of those that “age out” of the system will have no means of transportation. Having a bike could make the biggest difference in getting to and from a job, school and performing basic errands. We also love providing bikes to children who are riding for the first time because we remember how important it was to us when we received our first bike. TWR thanks Landmark Medical for their continued support! We truly appreciate their contributions to setting up their communities’ youth for success when they transition out of the system. 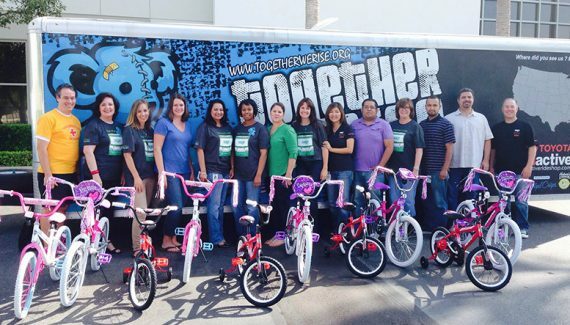 It’s sponsors like them that help make Together We Rise’s efforts reach more and more foster children!